How To Flash "Android P" On Your Pixel Smartphone? How To Flash “Android P” On Your Pixel Smartphone? Google recently announced developer preview earlier this week. Though developer preview is not meant for end users, it is released for android developers so that they can start working on all required changes right away. For those who want to get Android P developer preview to their phones will find this blog to be considerate. Android P comes with a bunch of unique and exciting features such as notch support in iPhone X style. Google calls them ‘cutouts’ and you can choose for narrow, tall and wide display cutout. These cutouts come as a part of the developer options in Android P.
Apart from notches, Android P features includes Multi-camera support, attractive transition animations, autofill and enhanced ambient display. Flashing is a very frequent task for developers and they are mostly aware with the terminologies below. We have tried to make the process easier for a layman who has not been into flashing earlier and want to enjoy the perks just like a developer. Since Android P download is not available for Android beta program yet, so you need to look for the updates and flash them manually on your devices. Below are the prerequisites to flash updates on your devices. This process will remove everything from your phone, so it is advised to backup all your data before flashing the system image. 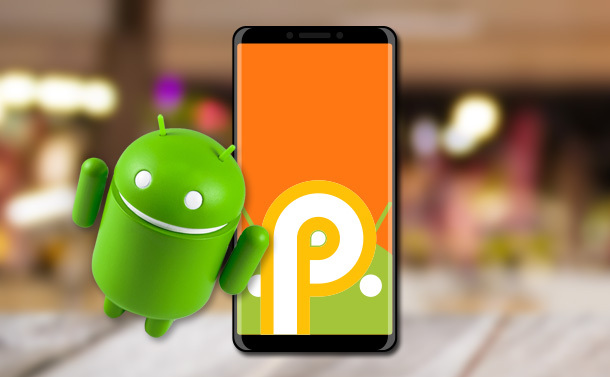 Android P ROM– Every version of pixel has its own Android P ROM which you can download from here. Make sure you download the correct ROM for your pixel device. Android SDK (Standard Development Kit) tool package to be downloaded from here. Enable USB debugging and unlock Pixel’ s bootloader by following the instructions below. Navigate through Settings > System > About Phone. Tap on the build number for about 7 times. You will now see the developer options in the main settings page. Tap on developer options and turn on USB debugging and OEM unlocking. Now it’s time for the real job to do. We will flash the image using the adb tool from the Android SDK tool package to flash the system image. Step 1: Unzip the downloaded system image into a safe directory. Step 2: Plug your device to your computer with USB. Turn off your phone, then turn it on and immediately hold the relevant key combination, refer the key combination for your device here. Step 5: Open the terminal and navigate through the unzipped image directory (in Step 1) and then execute flash-all script. After the execution of this script, it will install the necessary baseband firmwares, bootloader and the operating system. At the end of execution process, your device will reboot. For a layman it may sound very complicated but actually this isn’t. Just read the blog thoroughly once, be careful about clicking and tapping and you are good to go. Is Blockchain Secure, Can It Be Hacked?